All classes and departments are open to entries from all countries and states. Any exceptions are listed in the rules under the specific departments. The Fair Board reserves the right to disqualify and dismiss any exhibitor guilty of any horse-play detrimental to the best interest of the Fair. The Fair Board reserves the right to decline any entries that may be made and to disqualify any entry from participating after the entry is made. Every animal and article upon the grounds shall be under the control of the Fair Board; and while every precaution will be taken for the safe keeping, neither the Association nor its officers or agents, will be responsible in any case for loss, damage, or accident that may occur. All awards will be placed according to merit by well-qualified judges whose decision will be final. The Fair Board will not entertain any contest of awards over the decision of the judges. The Fair Board will pay premium money and prizes in accordance with the Premium Book and the award of the judges. Premium checks will be mailed within 45 days of the close of the fair. No premium checks will be available for pickup during the week of the fair. All exhibits entered in the Inter-State Fair for competition must remain on exhibit during the entire period of the Fair. Exhibitors violating this rule will forfeit all premiums or prize money. Ribbons will be awarded as follows: Livestock: First, blue; Second, red; Third, white; Fourth, pink; Fifth, yellow; Grand and Reserve, purple. Open Exhibits: First, blue; Second, red; Third, white; Grand and Reserve, purple. 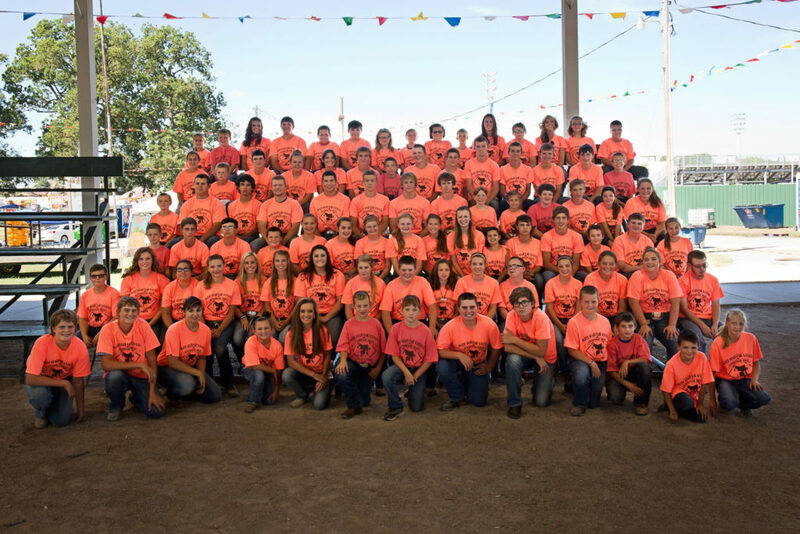 4-H: First, blue; Second, red; Third, white; Grand and Reserve, purple. All entries must be made in the name of the owner. 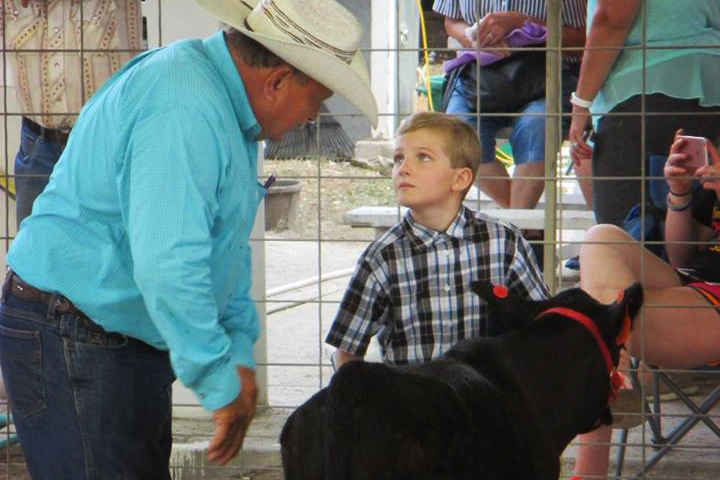 Exhibitors should ascertain from Superintendents as to time the exhibits entered will be judged. An exhibit not presented promptly on scheduled time will be ruled out and debarred from competition in the class called. No complaint or protest on the grounds that the judge overlooked exhibits will be considered. Each Superintendent will be in full charge of his/her department. No claims for injury to any person or property shall be asserted nor suit instituted or maintained against the Montgomery County Fair Association, its officers, or their agents by or on behalf of any person, firm, or corporation of their agents, representatives, servants, or employees having licenses or privileges to exhibit on the fairgrounds or occupy any space thereon. The Management reserves the right to remove from the grounds any exhibit, animal, concession, or show that may be falsely entered or may have any sign, banner or advertising of any kind which may be deemed unsuitable or objectionable by them without assigning a reason therefore. At the close of the Fair, all exhibits must be claimed at once by the exhibitor or by parties representing the exhibitor. Those in charge will assume no responsibility for exhibits left on the fairgrounds after the closing day. The Board of Directors of the Montgomery County Fair Association reserves to itself the absolute right to construe its own rules and regulations and determine arbitrarily any protests. Any complaints or protests shall be made in writing to the Secretary of the Fair by the close of the Fair to receive any consideration. Fire lanes must be kept clean and clear at all times. Vehicles, livestock trailers and travel trailers may be parked in designated areas only. The Fair Board reserves the right to have vehicles or trailers which are parked in undesignated areas towed away at the owner’s expense. Also see Rules and Regulations specific to each Division, Department, Category, and Class.